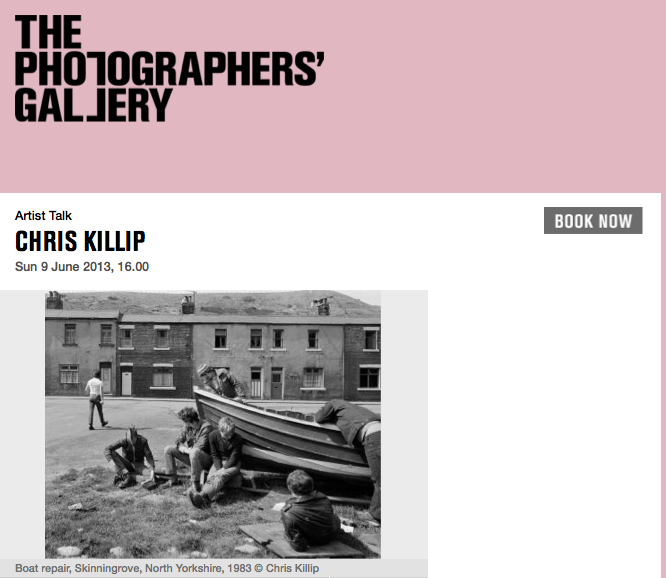 Today I have the pleasure of attending a talk by Chris Killip at The Photographers Gallery. I also had him sign two of my books by him, and while I was getting them signed had the opportunity to ask him some questions which answered some of the things that I had always wanted to know about how Chris works to make his images. When I have transcribed the talk I will be posting on this as well. The first answer to my question was did he always shoot with Large format cameras and the answer was no he had uesd a Plaubel Makina 6×7 camera for some of the images used in Sea Coal and In Flagrante. This was news to me and explained a few things about his working the other thing he mentioned was he used a technical flatbed 5X4 camera like an MPP (one of his hero’s is Weegge) and he described how he would use the camera with the focus scale and guessing (estimating) the distance to his subject. This then made sense to me how he made his images.